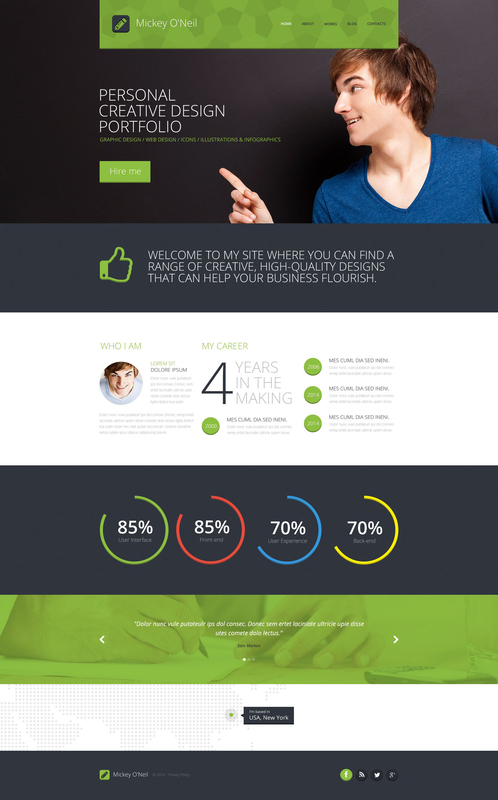 This feature-rich individual page website template can give lots of opportunities for your website. Invite more clientele to personal diary page or personal blog with outstanding design. Having a website of this nature, there won't be any difficulty with establishing trust with your clients. Users will enjoy easy surfing around the site because of its intuitive navigation and content-wise structure. If you have any queries on the subject of theme use you can check out comprehensive documentation, also you receive round-the-clock priority support aiding to resolve any trouble. The template is ready to be utilized - just get it and showcase yourself on search engines. perfect. Even if one is not a developer or designer, instructions are perfectly clear and easy to understand. My website works great.